Mark Johnson of Shine Technologies is such a gent. 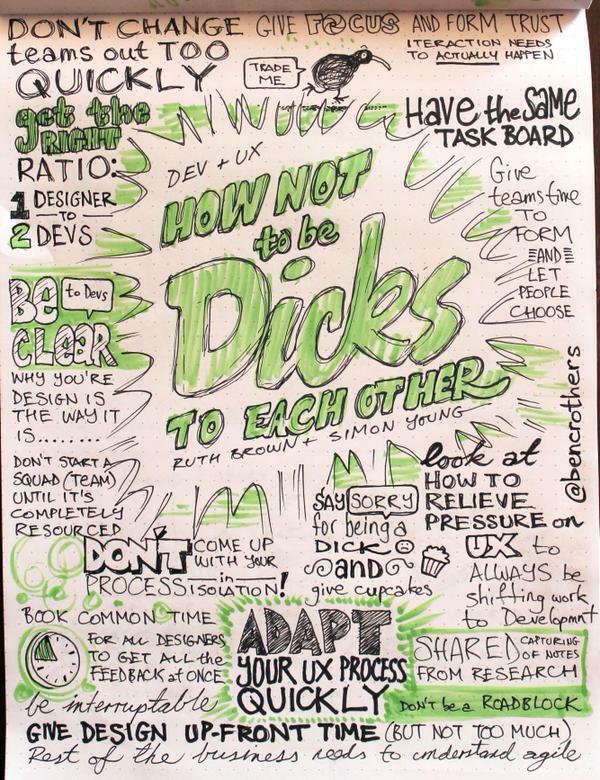 He was nice enough to use one of my sketchnotes in his latest post: Agile UX Conference Report. I think he’s captured the essence of the day really well, and, like Mark, the talk by Ruth Brown and Simon Young of Trade Me was easily my favourite. Which you can sort of tell from the energy I’ve put into some of the lettering in the sketchnote above. And he even asked permission, too, which is pretty ace.